22 years since its release, it looks like we could finally be seeing the reunion to end all reunions – something the Federation has been calling out for since 1997. 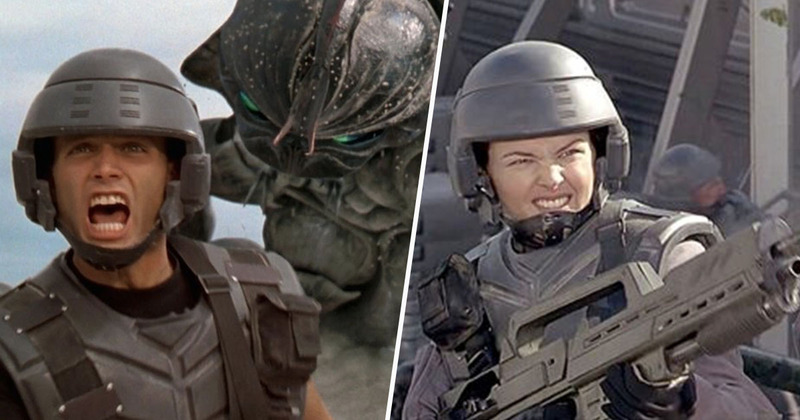 Cult sci-fi and heavily allegorical film Starship Troopers looks like it could be making a return to our screens, with the original cast in tow. Ed Neumeier, who wrote the 1997 film’s screenplay, is already on board, and recently revealed the original cast could be getting together in the near future for it. Neumeier also penned scripts for Starship Troopers 2: Hero of the Federation, Starship Troopers 3: Marauders, and the animated film Starship Troopers: Traitor of Mars, so it’s fair to say he’s got a few ideas when it comes to rebooting the franchise. Well, I think [the original cast] can [return]. I don’t want to jinx anything, but we are talking about trying to do a television show that is based on that idea. In the original, Casper Van Dein played the film’s patriotic hero Johnny Rico. I’ve written all sorts of things with Casper now as Johnny Rico and it’s a gas to write him because he gives you that character, he gives you more than you think, as soon as he shows up, the tone comes with him a little bit. I think it’s because he’s ridiculously handsome, he’s got this boyish can-do attitude, which is what Johnny Rico is, and a lot of the brand comes with him. It’s been to easy to dismiss these things in the past. Sometimes you can reboot something, but sometimes it just doesn’t feel right. As well as Van Dein, the 1997 cult classic starred Denise Richards, Dina Meyer, Jake Busey and Neil Patrick Harris. The first film’s director, Paul Verhoeven, has previously expressed hesitation towards a reboot, and Neumeier himself suggested what they did with the first film is ‘almost not repeatable’. Because of this, it seems the team are leaning towards a live action TV series, rather than a reboot or direct sequel. I suppose there are only two rules they have to stick to – everyone fights, no one quits!